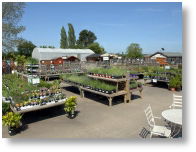 T he Garden Centre is brimming with a wealth of unusual perennials, shrubs and climbers. For example we have over 80 of those "harder to find" plants listed in the RHS Plantfinder book. There is always a good selection of shrubs and plants which are not commonly found elsewhere, together with a wide range of the more commonly sought after plants. We also offer a plant sourcing service so if you are looking for a plant that we don't have in stock we would be happy to try and get it for you. 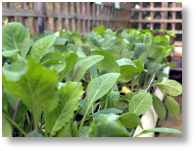 Experienced and knowledgeable staff are happy to give advice on all aspects of gardening. 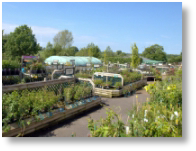 From mid November to March we stock a large range of bare rooted hedging and young trees, ornamental trees and shrubs, ground cover plants, climbers and fruit. These are available for collection from the Garden Centre or for dispatch throughout Great Britain through our mail order service and on-line catalogue. Staff are always happy to spend time taking customers to see the various hedges and discuss their merits with them. However, it is better to come during the week as we can spend more time with you.